I don't know what his name is. I captured (on picture) him in A Famosa Resort. 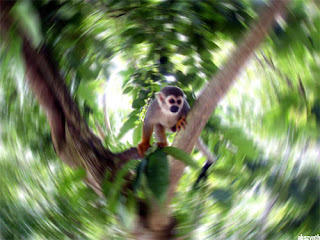 I'm calling him the Naughty Spinning Monkey.